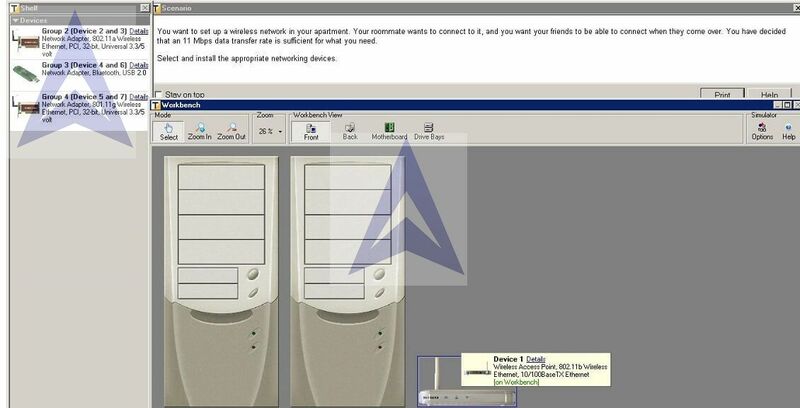 The purpose of this lab is to learn how to select and install a network adapter, retrieve and view network connection information, and select appropriate networking devices to connect various networks. Select and install a network adapter by using appropriate expansion slots. Find network connection information by using My Network Places. View the connection properties in My Network Places. Disable a network connection by using Network Connections. 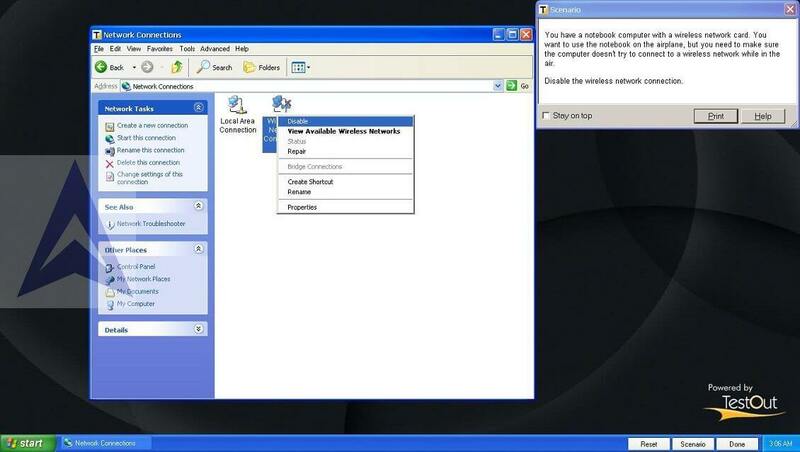 Select an appropriate network device, such as a hub switch or a router, to connect additional computers or two networks. 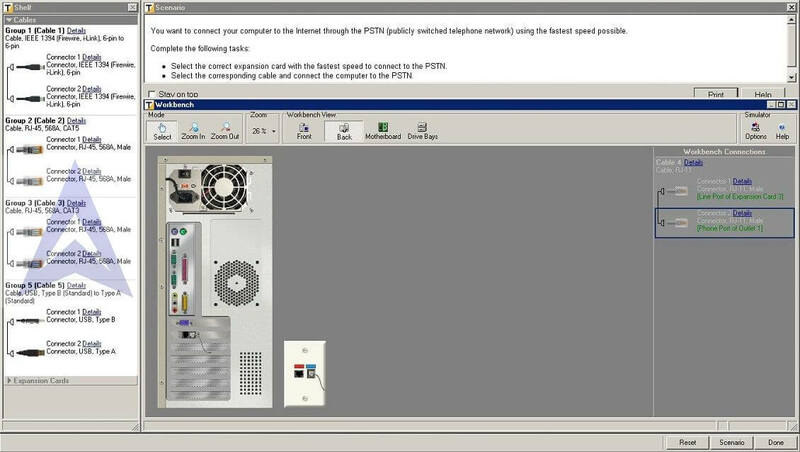 You want to connect your computer to the Internet through the PSTN (publicly switched telephone network) using the fastest speed possible. 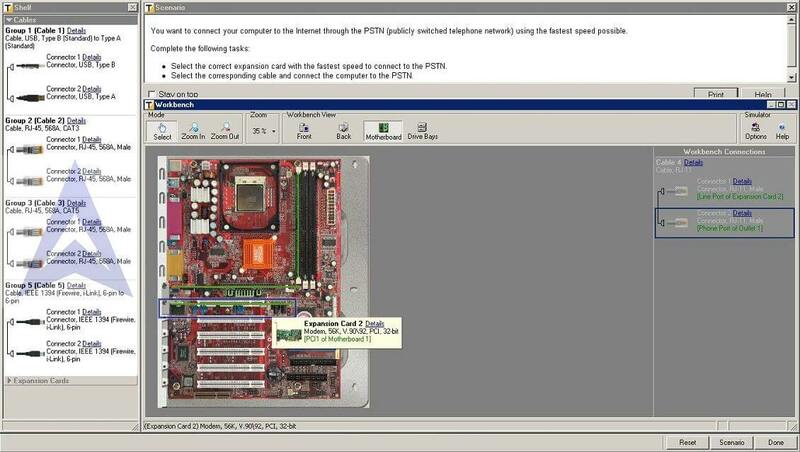 Select the correct expansion card with the fastest speed to connect to the PSTN. 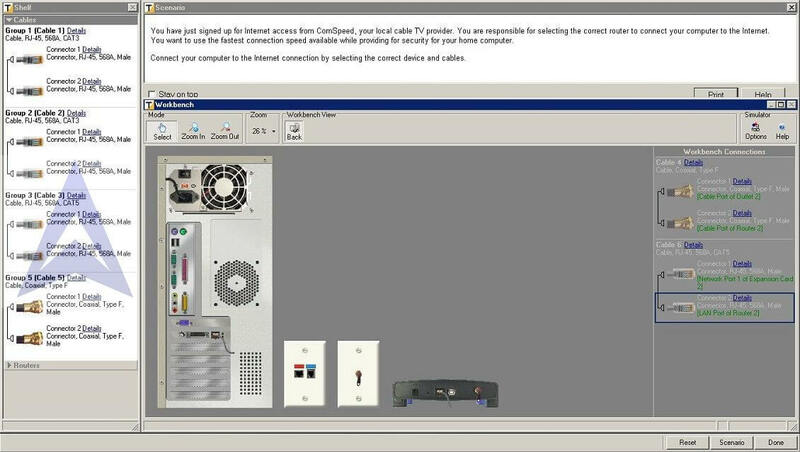 Select the corresponding cable and connect the computer to the PSTN. This lab requires you to use the simulator to perform tasks and discover information to answer one or more questions. Click the Launch button to begin. You have a notebook computer with a wireless network card. You want to use the notebook on the airplane, but you need to make sure the computer doesn't try to connect to a wireless network while in the air. Disable the wireless network connection. Select and install NICs (Network Interface Cards). Locate network connection and configuration information. Select and install appropriate networking hardware. You are connecting the first two of several computers that will be on the same network. You want the network to operate at 100 Mbps with full duplex communication and accommodate future additional devices on the network. Select the appropriate device to connect two networks. You have just signed up for Internet access from ComSpeed, your local cable TV provider. You are responsible for selecting the correct router to connect your computer to the Internet. You want to use the fastest connection speed available while providing for security for your home computer. Connect your computer to the Internet connection by selecting the correct device and cables. 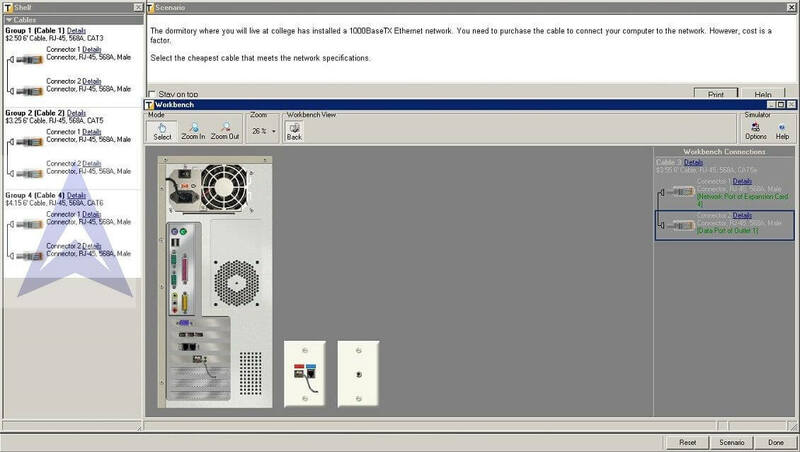 Were you able to select and correctly install a network adapter? Were you able to retrieve network connection information? Were you able to identify network protocols and services? Were you able to disable a network connection? Were you able to locate network connection and configuration information? 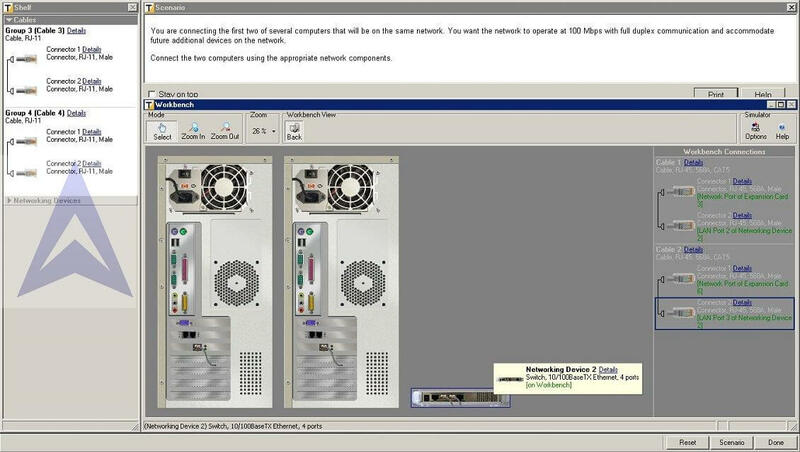 Were you able to select and install appropriate networking hardware to connect two networks? The purpose of this lab is to help you understand Ethernet cabling standards by applying various networking cable types. Identify and select Ethernet cabling based on the cable type, cost, and distance. Compare the characteristics of various Ethernet implementations based on Ethernet specifications, bandwidth, and cable type. Select and install the necessary components to connect to a fiber optic network. Select 3.0 Wired Networking Standards. Select and install Ethernet NICs based on speed and architecture. Install UTP cables and connectors. Install fiber optic cables and connectors. The dormitory where you will live at college has installed a 1000BaseTX Ethernet network. You need to purchase the cable to connect your computer to the network. However, cost is a factor. Select the cheapest cable that meets the network specifications. You are going on temporary assignment to a new building. The building has an Ethernet network that operates at speeds up to 100 Mbps. 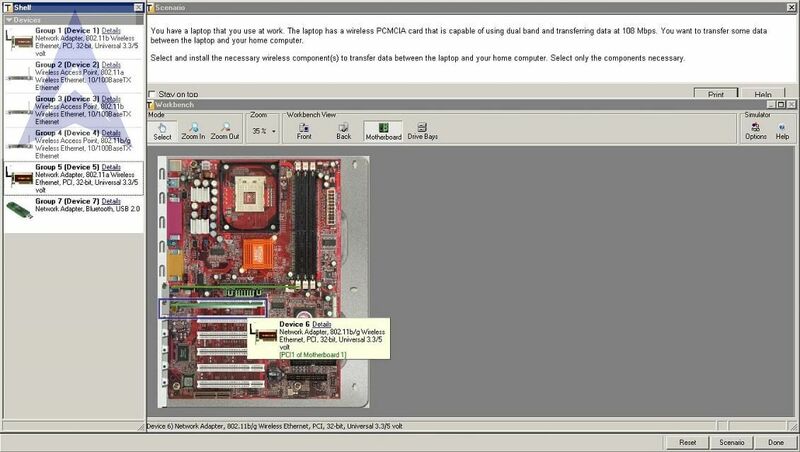 Connect the computer to the network by selecting the appropriate network card and cabling. Your company has just moved to a new office building. The server room has fiber optic installed to the wall plate. You need to connect the server to the fiber optic network connection. 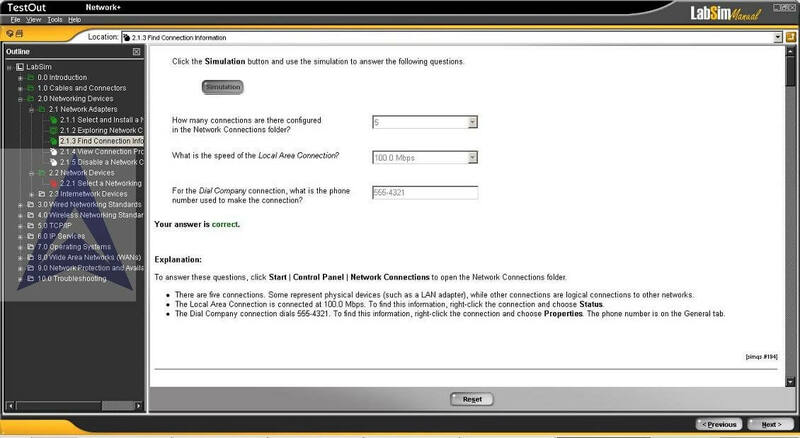 Select and install the necessary components to connect to the fiber optic network. Were you able to identify the appropriate Ethernet cabling based on cable type, cost, and distance? Were you able to compare the characteristics of various Ethernet implementations based on Ethernet specifications, bandwidth, and cable type? 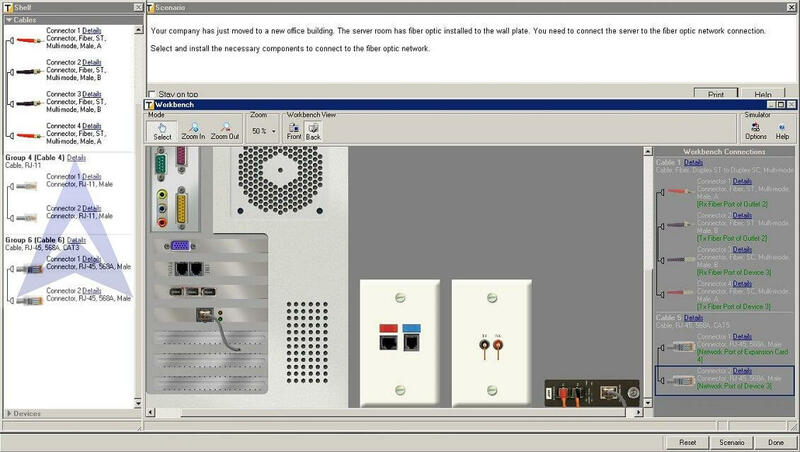 Were you able to connect a fiber optic network by reading the device documentation to locate the correct components to install? The purpose of this lab is to help you identify Wireless Ethernet networking standards through speed, frequency, and architecture of a network. Select and install a wireless card that will support a specific frequency and speed. Create a wireless network based on the two wireless networking topologies, Ad Hoc and Infrastructure. Select 4.0 Wireless Networking Standards. Because you travel frequently, you want to equip your laptop with wireless networking capability. Select and install a wireless device that supports data transfers from 11 Mbps to 54 Mbps on networks that use the 2.4 GHz frequency range. Select the cheapest solution to meet the requirements. You want to set up a wireless network in your apartment. Your roommate wants to connect to it, and you want your friends to be able to connect when they come over. You have decided that an 11 Mbps data transfer rate is sufficient for what you need. Select and install the appropriate networking devices. You have a laptop that you use at work. The laptop has a wireless PCMCIA card that is capable of using dual band and transferring data at 108 Mbps. You want to transfer some data between the laptop and your home computer. Select and install the necessary wireless component(s) to transfer data between the laptop and your home computer. Select only the components necessary. Were you able to select an appropriate networking standard based on the frequency and the speed? 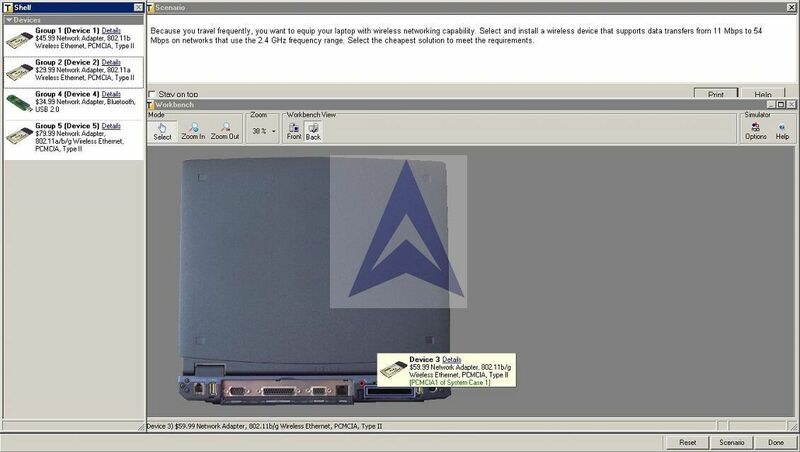 Were you able to choose the appropriate wireless standard, topology, and device to connect to a wireless network?